Handcrafted design and old-world charm, with a natural patina adding character that changes and evolves with time. 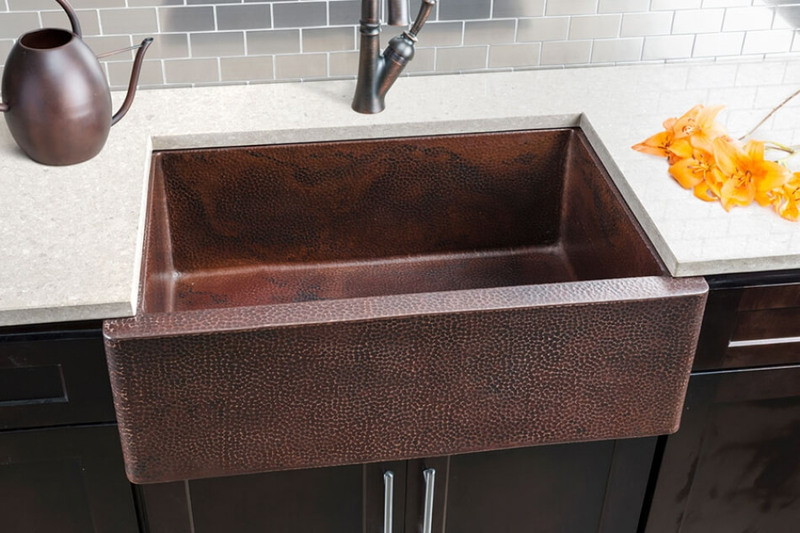 Hahn Copper Series Farmhouse Sinks are a functional luxury, recognized for its strength, durability, and ageless beauty — adding a sense of warmth and serenity with the deep, natural look of copper. Its ever-changing patina becomes more beautiful over time, and compliments a wide range of contemporary and transitional kitchen styles. Designed to make a statement, Hahn Copper Series Farmhouse Sinks provide maximum protection under the toughest environments. Its remarkable finish offers the perfect solution for maintaining an attractive surface that is not only functional and hygienic, but designed to hide scratches and marks from everyday use. 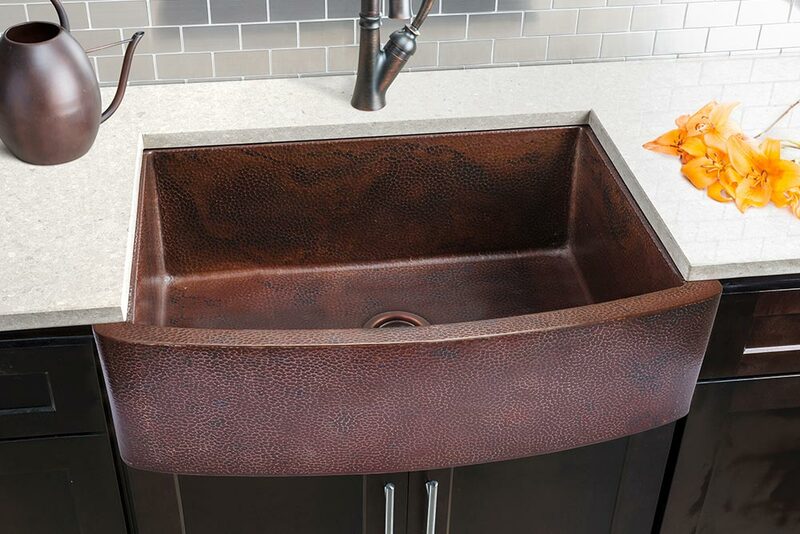 Beautiful and built to last, HAHN Copper Series Farmhouse Sinks feature a unique hammered copper finish that provides exceptional strength, durability with a protective natural patina that hides scratches and ages well. The antibacterial properties of copper have been found to eliminate more than 90% of surface bacteria compared to other materials. Hahn Copper Series Farmhouse Sinks are produced at the highest standard, using 99% pure mined copper with durable 14-gauge thickness, resulting in a quieter and resilient sink. 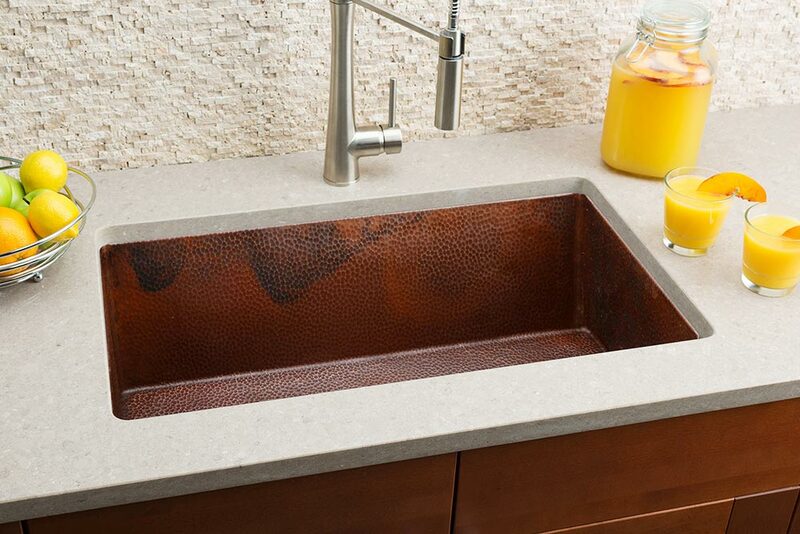 Using only the finest materials with meticulous attention to detail, HAHN Copper sinks include more features and components than those offered by well-known brands at three times the cost. Intelligent Design Features include extra deep basins for hiding dirty dishes as well as large pots and pans, an ergonomic apron-front design, and sound-deadening pads for quieter performance. 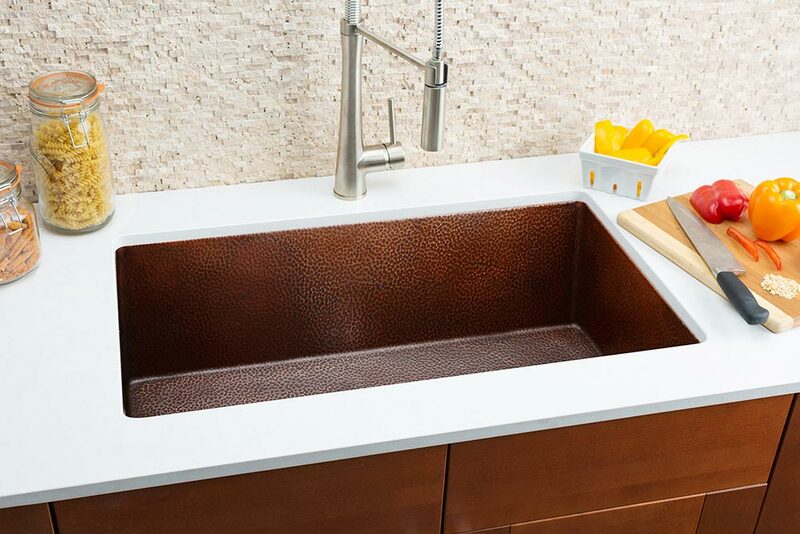 HAHN Copper Series Farmhouse Sinks also include Value-Added Extras such as high-quality copper drains to compliment your sink. Purchase your Hahn products online today, or contact us by phone for sales and support.